I think You Capture is addicting because when the snow started, the first thing I thought was, "This is going to be GREAT for the You Capture theme this week!" True story. I grabbed my camera and tried getting some shots at night and then first thing the next morning - all while freezing my fingers off and running inside to wrap them around a hot mug of coffee. Then we had an ice storm last night and I got really excited! I've found that once you get a taste of photograpy for fun, you can't stop. It's still a winter wonderland outside my window as I write this and I. Am. In. Love. December snows are the best. Make sure you head over to see what others have linked up for You Capture this week @I Should Be Folding Laundry. 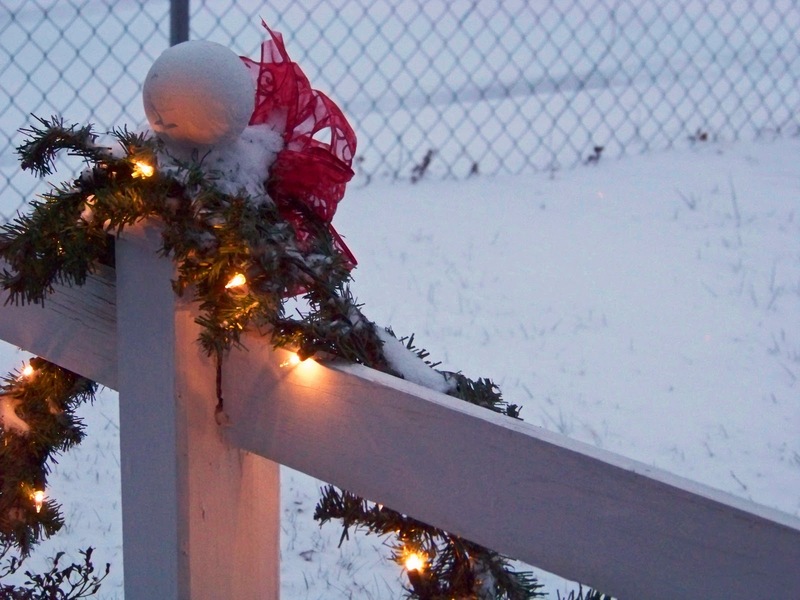 I really like your shot close to the swing with the garland up the column...and the garland on the fence. Wonderfully framed. You guys have done such a nice job decorating your place. Gotta say I'm a bit jealous cause it feels we still have so much to buy or make. But I guess it really takes years to get all the Christmas stuff just the way you want it! 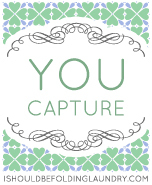 You Capture is definitely addictive. I love the ice shots! I really, really like the icy twig shots. But I LOVE the fencepost with lit garland. And the porch swing. It may be icy/snowy, but with those two pics you somehow also managed to capture WARMTH. Nice work! i love the ice shots! There is no snowy goodness here so I was hesitant about outside prospects but I went for it anyway. Gorgeous shots!! I'm loving the ice!!!!!! 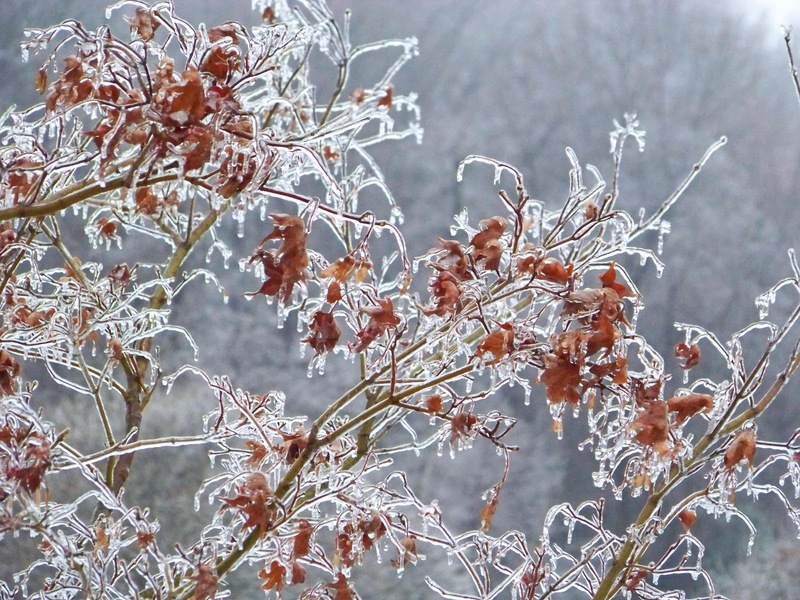 That ice covered branch is so cool as is the swing, great shots! Thanks for stopping by as well. Beautiful! 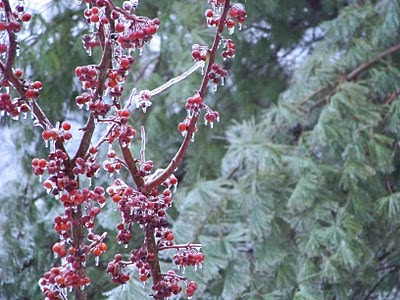 I love the berries covered in ice! Love those icey looking shots...wow! I love the ice covered branches. Beautiful. this was my first you capture and I love it! So much fun...your pics make me MISS a snowy winter, how prettttttyyyy! 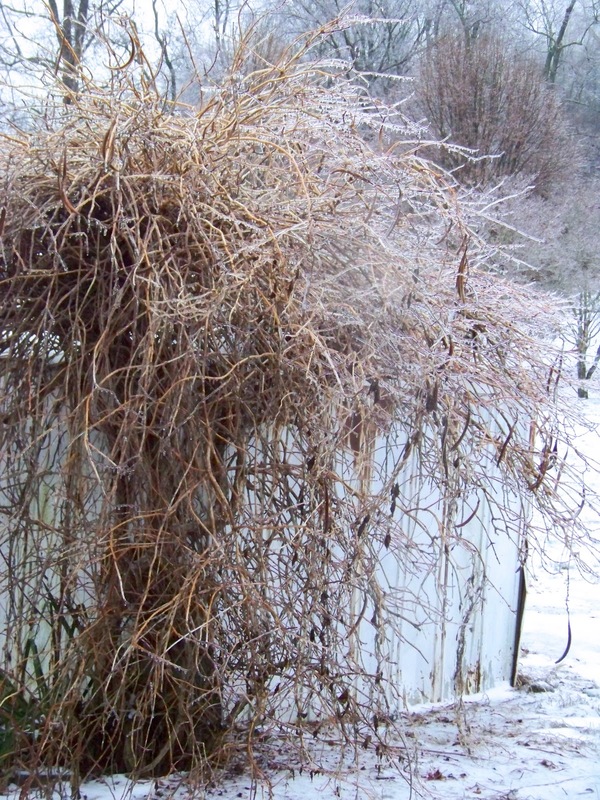 I am one of those crazy people who love ice storms. It makes everything look like lace! I am a You Capture junkie too! Participating in these has really grown me as a photographer. LOVE IT!! Can I come stay with you for the winter?? So beautiful! You captured the ice beautifully, love it. Gorgeous closeup of the dripping ice on the twigs. I love it! Hi Carrie ~ I'm so glad you found me at Treasured Chapters/Growing Up MK! I have so enjoyed reading your whole Story of Us!! Love your story! Mine is a little bit similar - I met my husband at missionary boarding school when I was in 3rd grade and he in 5th. Didn't date until college, though. Isn't it fun being married to your best friend and to someone you've known for so long? 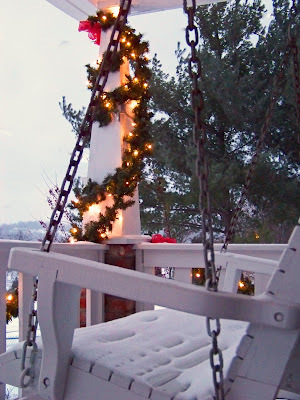 Oh, and about this post: :) I love your shots, especially the one of the snow on the porch swing. Beautiful photos! 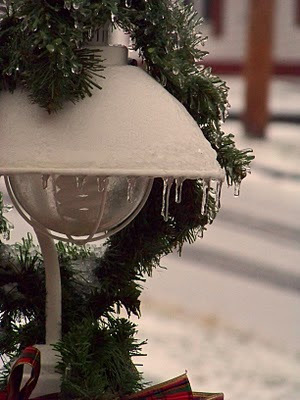 I'm not sure which I love more - the holiday decorations, or the ice crystal drips - maybe the holiday greenery with the ice crystal drips as in the last pic. Really, nice job! 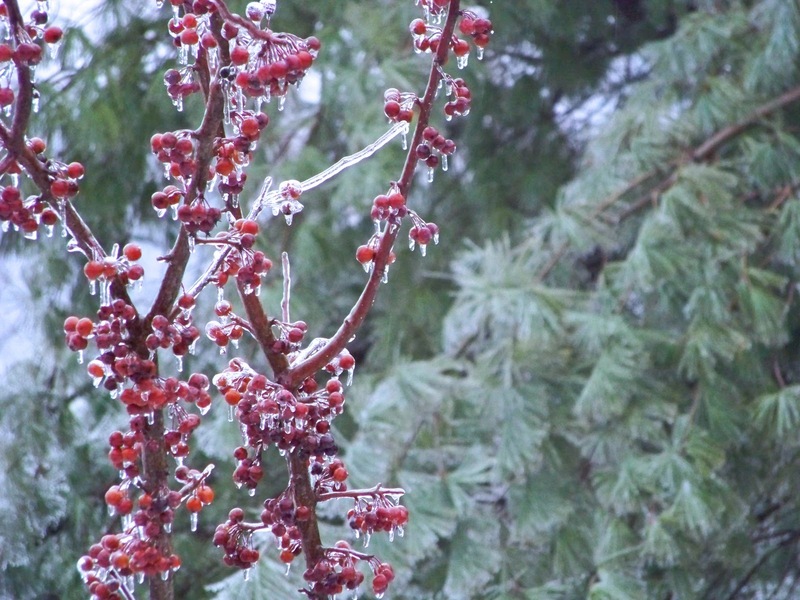 Love the ice on the berries! soo pretty pretty! If I'm not mistaken the background on your blog is one of them as well? I love it! I could not agree more! These pictures are so beautiful. Definitely my favorites of your You Captures yet. I think what I love most is that you've captured the stillness of a snowy/icy morning so perfectly. Nice work! !